Analysis, and Observational and Epidemiological Studies and Diffusion Studies. 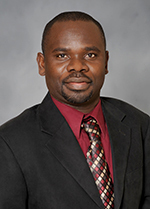 Mamudu, H. Stakeholder Analysis of Adoption and Implementation of a Statewide Smoke-free Policy in a Tobacco Producing State: Tennessee Non-Smokers Protection Act. RDC, 2010-2011. Owusu D, Mamudu HM, John RM, Ibrahim A, Ouma AE, Veeranki SP. Never-Smoking Adolescents' Exposure to Secondhand Smoke in Africa. Am J Prev Med. 2016 Dec;51(6):983-998. doi: 10.1016/j.amepre.2016.08.040. Mamudu HM, Paul TK, Wang L, Veeranki SP, Panchal HB, Alamian A, Sarnosky K, Budoff M. The effects of multiple coronary artery disease risk factors on subclinical atherosclerosis in a rural population in the United States. Prev Med. 2016 Jul;88:140-6. doi: 10.1016/j.ypmed.2016.04.003. Mamudu HM, Paul T, Veeranki SP, Wang L, Panchal HB, Budoff M. Subclinical Atherosclerosis and Relationship With Risk Factors of Coronary Artery Disease in a Rural Population. Am J Med Sci. 2015 Oct;350(4):257-62. doi: 10.1097/MAJ.0000000000000548. Mamudu HM, Veeranki SP, John RM, Kioko DM, Ogwell Ouma AE. Secondhand Smoke Exposure Among Nonsmoking Adolescents in West Africa.Am J Public Health. 2015 Sep;105(9):1823-30. doi: 10.2105/AJPH.2015.302661. Veeranki SP, Mamudu HM, John RM, Ouma AE. Prevalence and correlates of tobacco use among school-going adolescents in Madagascar. J Epidemiol Glob Health. 2015 Sep;5(3):239-47. doi: 10.1016/j.jegh.2014.12.005. Mamudu HM, Veeranki SP, Kioko DM, Boghozian RK, Littleton MA. Exploring Support for 100% College Tobacco-Free Policies and Tobacco-Free Campuses Among College Tobacco Users. J Public Health Manag Pract. 2016 Jan-Feb;22(1):29-39. doi: 10.1097/PHH.0000000000000262. Veeranki SP, Mamudu HM, Zheng S, John RM, Cao Y, Kioko D, Anderson J, Ouma AE. Secondhand smoke exposure among never-smoking youth in 168 countries. J Adolesc Health. 2015 Feb;56(2):167-73. doi: 10.1016/j.jadohealth.2014.09.014. Russell A, Wainwright M, Mamudu H. A Chilling Example? Uruguay, Philip Morris International, and WHO's Framework Convention on Tobacco Control. Med Anthropol Q. 2015 Jun;29(2):256-77. doi: 10.1111/maq.12141. Mamudu HM, Paul TK, Veeranki SP, Budoff M. The effects of coronary artery calcium screening on behavioral modification, risk perception, and medication adherence among asymptomatic adults: a systematic review. Atherosclerosis. 2014 Oct;236(2):338-50. doi: 10.1016/j.atherosclerosis.2014.07.022. Review. Mamudu HM, Dadkar S, Veeranki SP, He Y, Barnes R, Glantz SA. Multiple streams approach to tobacco control policymaking in a tobacco-growing state. J Community Health. 2014 Aug;39(4):633-45. doi: 10.1007/s10900-013-9814-6. Veeranki SP, Mamudu HM, Anderson JL, Zheng S.Worldwide never-smoking youth susceptibility to smoking. J Adolesc Health. 2014 Feb;54(2):144-50. doi: 10.1016/j.jadohealth.2013.07.036. Mamudu HM, Veeranki PS. 2013. Tobacco use among school-going children (11-17 years) in Ghana. Mamudu HM, Gonzalez M, Glantz SA. 2011. The Nature, Scope and Development of the Global Tobacco Control Epistemic Community. American Journal of Public Health 101(11): 2044-54. Cairney P, Studlar DT, Mamudu HM. 2012. Global Tobacco Control: Power, Policy Governance and Transfer. London, UK: Palgrave Macmillan.